Get ready and enrol for Best B.com coaching in Jaipur. Today’s competition is tuff and every student wants the best coaching classes in Jaipur. Now the best b.com coaching is available at your affordable budget. Registration is started, you must enrol for the b.com coaching classes. In b.com, many options are available for career, we have a well experienced staff who guide every student and solve their problems. They also provide the extra classes for weak students so that they easily cover their problems in subjects. Many teachers don’t concentrate on students in the classes or colleges and they bunk them or out of class most of the time. 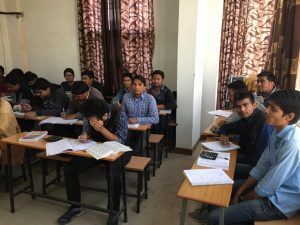 So many students join the classes to better result and that is also a good thing. Because this time study is most important in student life. In Jaipur, many coaching classes are available and we are one of them. Facilities/Benefits to join the b.com classes. – Best Tutors available for all b.com subjects. – Coaching classes available at your nearby locality. – Tally training classes are also available. – Focused on every student studies. – Study materials such as notes, Test series, online data, multiple type question series etc. – Best infrastructure of all the records. – Home Tuitions services also available. So this all are the benefits, if you join the Best B.com coaching in Jaipur. If you have the commerce subject then you must join the b.com coaching classes, Because it is also beneficial for future. B.com coaching classes is also helpful for competition exam. And in coaching classes they also aware for other exams. If you also preparing for other competition exams such as CA foundation courses or any other then you must join the b.com classes, because b.com subject is the basic subject and it is more helpful to solve the major problems. Sanjay Commerce Classes, offer the competent Commerce Coaching in Jaipur. Our Commerce Coaching Classes can be availed for all Commerce subjects including Accounts, Economics, Business Studies, Mathematics, etc.